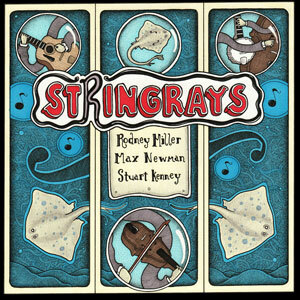 Stringrays is comprised of renowned New England fiddler Rodney Miller (NEA Master Fiddler and New Hamphire Artist Laureate), guitarist Max Newman, and ever-in-demand Stuart Kenney on bass and banjo. If that weren’t enough, the trio is often joined on tour by Sam Bartlett and Mark Hellenberg. Guided by Rodney’s signature style and varied repertoire, their music pairs collective improvisation with the soul of New England fiddle music. Stringrays is playful, sublime, uplifting, and spirited. The band finds constant inspiration — in great tunes and in each other — for lots of lyrical improvising and dynamic interplay. 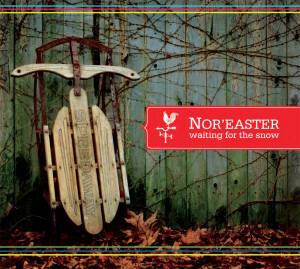 Boston-based trio Nor’easter is Cedar Stanistreet on the fiddle, Max Newman on the mandolin and guitar, and Julie Vallimont on the piano and accordion. Drawing from New England musical traditions, they delight in creating an exciting, joyous sound that catches both the ear and the feet. Since 2008, their music and their following have steadily grown. They have traveled throughout the continent, playing in more than 25 US States and 3 Canadian provinces. Accompanist From pub sessions to concerts to dances, I’m lucky enough to work with many fantastic musicians. Producer I had the great pleasure to work with the talented band Nova on their recording. Check them out! Teacher I’ve taught at Pinewoods, Ashokan, BACDS, and Ogontz camps in addition to countless other workshops. Get in touch if you are interested in lessons.